Francesco Stefanelli will represent San Marino at Eurovision Young Musicians for a second time as he returns to the contest in 2018. San Marino RTV has confirmed that Francesco Stefanelli will represent San Marino at Eurovision Young Musicians 2018 in Edinburgh, Scotland. The young musician from the smallest competing nation in the contest, represented San Marino on their debut in the contest two years ago in Cologne, Germany. San Marino is one of sixteen countries to take part in Eurovision Young Musicians 2018. The announcement of Francesco as the San Marinese participant means that eight nations have now announced their participants for Edinburgh, United Kingdom. Francesco Stefanelli, born in San Marino in 1999, started studying cello at the age of 7 at the Music Institute of San Marino. He graduated with honors in 2015 at the Institute of Higher Education “Lettimi”, Rimini. In 2012, when he was only twelve, he was permitted to attend the course held by M° Antonio Meneses at the “Accademia Chigiana” in Siena, obtaining the diploma of merit. He continues his studies with Thomas Demenga in Turin, Enrico Dindo at “Pavia Cello Academy” and Antonio Menese at “W. Stauffer Academy” in Cremona. He has attended Masterclass with Jens-Peter Maintz, Ivan Monighetti, Frans Helmerson, Marianne Chen. He won first prizes in national and international competitions including, first prize at 11th Cello Competition “Antonio Janigro” in Croatia whose victory allowed him to perform at “Smetana Hall” in Prague as soloist with the “North Czech Philarmonic Orchestra”, third prize at “Rahn Music Prize” in Zurich, first prize at “EuroAsia Internationa Music Competition” in Cremona, first prize at “European Music Competition” in Moncalieri, first prize at “Città di Giussano Competition”. He won the prestigious scholarship entitled to”Maura Giorgetti” for the best Italian young cellist under twenty, organized by the “Philharmonic Orchestra of the Scala Theatre of Milan” and the scholarship of “Yamaha Music Foundation of Europe”, he was awarded the scholarship of “De Sono Associazione per la Musica” and he received a scholarship from the “International Academy of Music” in Liechtenstein wherehe takes part in the intensive music weeks and activities offered by the Academy. Currently he attends the “Master of Arts in Music Performance” at Lugano Conservatory with Enrico Dindo after he received the Swiss Government Excellence Scholarship for Artists. What is Eurovision Young Musicians? Eurovision Young Musicians has been held bi-annually since 1982. The contest was based on the format of The BBC Young Musician of the Year in the United Kingdom. Performers in the contest must be aged under 18 years and are selected by their participating broadcaster. 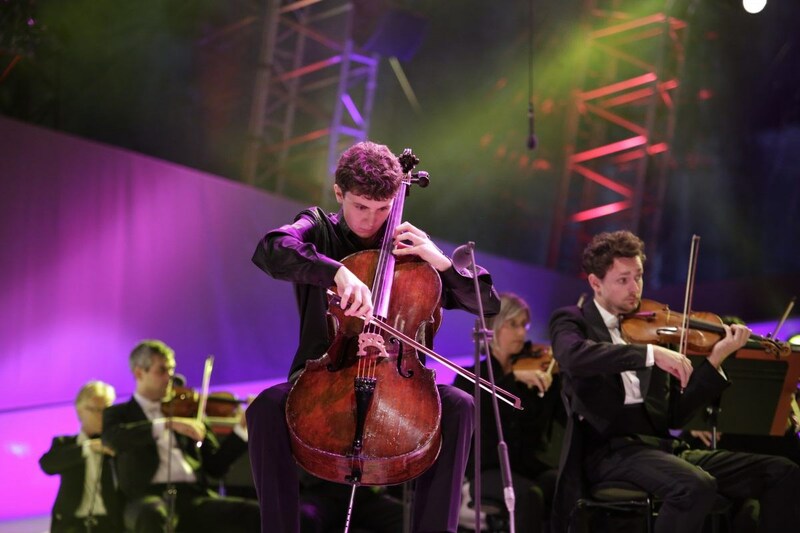 Each performer performs a piece of classical music of their choice accompanied by the local orchestra. The winner is decided by a jury made up of classical music experts and talents.